To my fellow anti CCSS Warriors, by default this includes those against the federally led education overhaul, as well as the global overreaches. We know, from research, that all this can be traced to one source. The United Nations. By default, that encompasses the UNESCO arm. *UNESCO means United Nations Education, Scientific, and Cultural Organization. (To be precise, the ‘z’ is an American spelling, the official spelling uses a ‘s’.) We also know from research that what we have known as education (academics) is becoming ‘education’ (workforce training). While I’ve seen many anti CCSS Warriors jump up and down with glee over the U.S. State Department’s announcement that the nation is leaving UNESCO, I am not among them. I will admit, it SOUNDS like a good move, but as always, the research STILL points to many ties which, UNESCO membership or NOT, the US will still be bound by. I’ll say it now, I am choosing to remain on the ‘offense’ side of this War Vs the Core. Many media resources happily shared the US’s news about leaving UNESCO, but how many of them included in their headlines that We the People will have to wait until the end of 2018? Do we really think after the many years of the UN’s foundation laying educational overreach, that a measly year will be all it takes to truly be free of UNESCO? The CCSS Machine includes UN/UNESCO. We have to look beyond the headlines, Warriors! 1) Go to the U.S. State Dept. website right now and look at their headlining article. It’s not that the US is leaving UNESCO, it’s that we MUST have more STEM, especially for women! This is a UN ‘play by the book’ move, if ever there was one!! In fact, this comes right out of the SDGs (Sustainable Development Goals) Tool Kit. As we know, the SDGs use ‘education’ as a ‘change agent’ for all kinds of indoctrination. In the State Department’s “Other News”? Is the fact the US and China are welcoming 3 more partnerships for economic and technology purposes. So, it’s basically an agreement for MORE STEM (although not using the “STEM” acronym). STEM means “Science, Technology, Engineering, and Math”. 2) In fact, a few days ago I exposed much about the UNESCO/UN and their STEM and STEAM (STEAM is STEM with the “Arts” embedded.). 3) Following that information, I showed you how the UN/UNESCO, the WSIS (World Summit on the Information Society) and the use of technology in a “Matrix” form that’s already embedded in the US (and the rest of the world) and will NOT be going away. The yellow circles are highlighting that UNESCO is in charge of each of the categories. This is only 1 page of the WSIS/UN’s joint work. UNESCO is only shown 3 times in this screen shot, HOWEVER, the 3 categories are ICT (Information and Communications Technology), Media , and Knowledge! The black boxes show the SDG #4 which is education for all. 4) The US still owes UNESCO money, over $500 million to be exact. UNESCO uses part of the money it receives to oversee our American historic sites which are considered World Heritage sites. 5) UNESCO has several P3s (Public Private Partnerships) involved in the World Heritage Sites. How many of these American or American-tied groups will be willing to leave UNESCO? 6) What about the time between now and when the US leaves UNESCO? Well, the US becomes a kind of silent partner. It’ll be around to keep a watchful eye. HOWEVER, that means ‘education’ will still be up for alignment! Also, there’s a big question about the next UNESCO leader. 7) The UN/UNESCO is really pushing AI (artificial intelligence), especially in ‘education’. This article from the Mirror (UK) is down-right creepy. My fellow anti CCSS Warrior, Alex Newman wrote and spoke about the AI being used to advance 2030 Agenda (of which the SDGs are now a part of. Previously, the SDGs were with Agenda 21, but 2030 is the newer version). Here’s what I found out about AI. Again, all this connects back to the massive WSIS/UN/UNESCO data control you see in #3 above. 8) From 2002, an article detailing why (then) Pres. Reagan removed the US from UNESCO. It appears the concern for media control is almost being overlooked in our current situation. This won’t be going away simply because our current Administration plans to remove America from UNESCO. 9) The infamous UNESCO/Gates ‘Cooperation Agreement‘ haunts us to the this day. It is THE single most telling root of the UNESCO plan for American ‘education’! This shift is SO embedded in America, thanks to WIOA(Workforce Innovation and Opportunity Act), ESSA (Every Student Succeeds Act), and HEA (Higher Education Act) (to name a few laws), that our extraction from UNESCO won’t mean anything different. Add to this the UNESCO (Huxley) idea of what American education should become. After all, it plays right into the UNESCO/Gates Agreement. Also thanks to the UN, our individual States have ‘pimped out’ their schools. In this article, I show you how MN went first back in the 1980s. 10) Back in the 1960s (87th Congress), there was no problem with announcing the UNESCO was Communism after our children. So, what has happened between then and now to go from ‘no way’ to ‘hey, have our kids’?! The CCSS Machine is what’s happened! 11) Back in 2010, (then) U.S. Sec. of Education, Arne Duncan addressed UNESCO. Consider his remarks and how they fit into what was being coerced upon our States. Add to that the 2014 UNESCO Report for how far the shift to Universal Design for Learning (embedded in ESSA) had progressed. What about Secretaries King and DeVos? Have they spoken out to stop UNESCO? Dr. King is currently the head of The Education Trust which is heavily funded by Bill Gates and other CCSS Machine members. Also at the Education Trust is Amber Arellano. Her biography at the Ed Trust reveals she was previously at the UN’s High Commissioner on Human Rights. DeVos is mentioned in this Truth in American Education article as well as Sec. Tillerson (State Dept.) as ‘playing’ President Trump with ‘education’. The UN has recognized DeVos’s family business (Amway) as one of the top companies in the world practicing biodiversity (a big component of the SDGs). Be sure to listen to the entire video below. It is from the late 1980s. 12) UNESCO and aligning teachers has been happening for quite a while. HOWEVER, it will not go away just because the US is leaving UNESCO. In fact, in 2015, the Incheon Declaration was made for all Member States and their commitment to adhering to the SDGs (Warriors, remember, education is Goal #4). As 2030 Agenda compliance dictates, that means our US teachers will have to have their professional development align! You can see the International Task Force on Teachers (formed 2008, as part of the Onslo EFA (Education For All) meeting) Part 2 Strategy Plan. The Plan was completed in 2016. 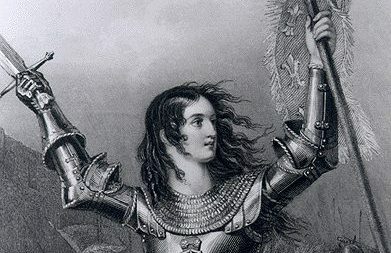 Warriors, I realize this may not be a well received article. Truth usually isn’t easy to hear. I do have some optimism about the US leaving UNESCO, but with all this evidence, I am being very cautious in my thinking. I think we all should be cautious. 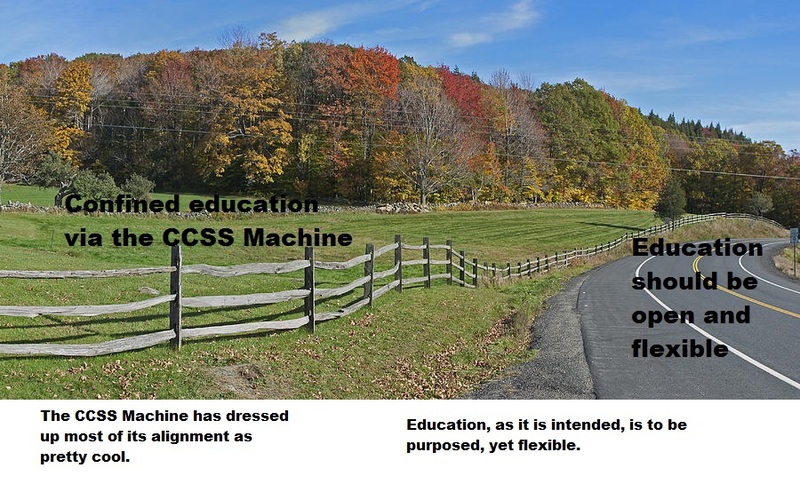 I know we all MUST speak the truth about the CCSS Machine. I want to thank the many dedicated Warriors who supplied their documents for this article. *I purposefully chose to NOT use any type of wording or featured picture which could alert social media as to my topic. I know it has the distinct possibility of being blocked. When you share, please keep this in mind. Tech Thursday: Online Learning for Everything? Warriors Against the Core, We know there are all kinds of great ways to teach and to learn. Common Core has ruined this in SO many ways. With the push for digital this, digital that, on-line courses, and all the other resources available via the computer it can be SO confusing to know which are CCSS aligned and which are not. While the question I’ve posed to you in the title is rhetorical, we still should see what are some of the latest offerings out there. Why? To help steer clear of them, to inform others who might need to know, and to see what pro CCSS organizations are behind them. The concern is, with this type of information sharing can have you come face to face with CCSS, STEM, or who knows what else? The screen shot below is from the WAT ‘Assessment’ section of the website. My fellow warriors, what do you think about all this? An on-line educational company so bad they were at once run out of a state, only to at a later day, be allowed?! Educational services based out of a college that has been around for years, which not only offers its CCSS aligned materials to public students, but extends them to those who are homeschooled?! A LLC where teachers are encouraged to share, but has a nebulous side to it?! Not to mention STEM?! Why, oh why, must everything connected to education seem to always come back to the CCSS Machine?! I am so beyond mad over the fact that the CCSS Machine has slicked up its offerings to include any student or teacher in or outside of the traditional public schools! What is a take-away from this article which I most hope you will share with others? If you must choose on-line for all your student’s needs, SNOOP! Be nosy, ask questions about what group created the educational content. Has the curricula been vetted properly? Bottom line: if something does not appear to be trustworthy, walk away! If it sounds too good, check it out anyway! We say in the anti CC warrior conversations that ‘we will not conform’. If we really mean those words, we MUST investigate everything! When we find ANYTHING connected to the agenda of the CCSS Machine, we MUST expose it! Warriors, let’s learn a valuable lesson from our proCCSS fellows about what NOT to do when it comes to education. It can best be summed up in an old saying. ‘Ride the fence too long, you find splinters in your bottom’.